This aims to offer an activity beneficial to the physical and mental development of P.1 to P.3 students. 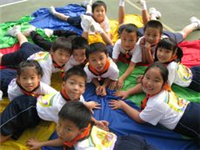 A Grasshopper Scout is encouraged to have active participation through group games. You can enjoy access to a series of new type of exposure provoking their thinking and imaginative power so as to develop more interests. More importantly, you can learn to lead a healthy life by being able to be independent while having a happy group life. Being a Cub Scout is definitely a wonderful experience. Under the guidance of young leaders of the Cub Scouts, you can learn a range of scouting and life skills through games, services and group work, therefore you can display your own potential and creativity and be further fostered the sense of responsibility by taking care of the others. 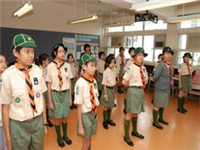 Choosing to be Cub Scout can help students from P.4 to P.6 nurture their physical and mental development.